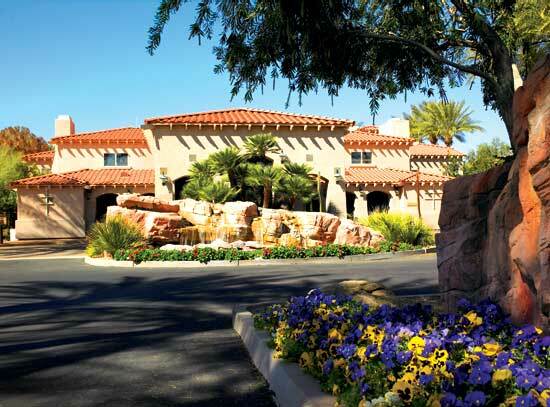 Please click here to see current availability, prices, payment options, photos and other information regarding Sheraton Desert Oasis Resort condo vacation rentals. The one bedroom Standard (small) and one bedroom Premium (large) villas at Sheraton Desert Oasis Resort Scottsdale offer everything a condo vacation rental should have, including a living area, separate dining area and a kitchen (Premium) or kitchenette (Standard). The Standard and Premium Villas can be combined to form a 2 bedroom unit. There is a lock-off door between the 2 units, which can be left open or secured. If you need a 2BR, please rent a Standard plus a Premium Villa for your dates of choice (make sure the dates are the same, or else this won’t work). The Sheraton Desert Oasis Resort Scottsdale is a good base location for fans of Cactus League Arizona Baseball Spring Training. Go here for official Cactus League baseball information on teams, stadiums, schedules, etc.